Hi! 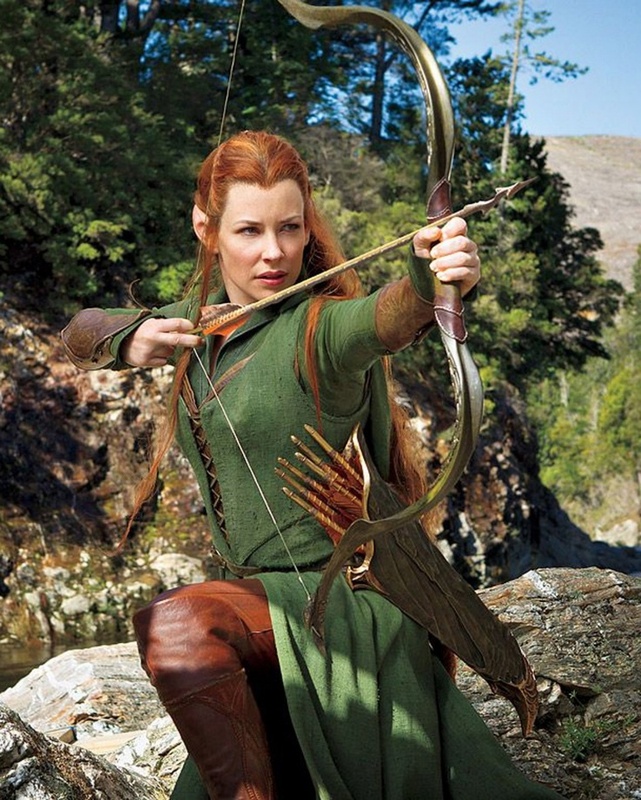 So, you all probably know by now that I am sewing a Tauriel costume and creating a cosplay masterpiece. What you probably didn’t know, is that I’m completely finished. 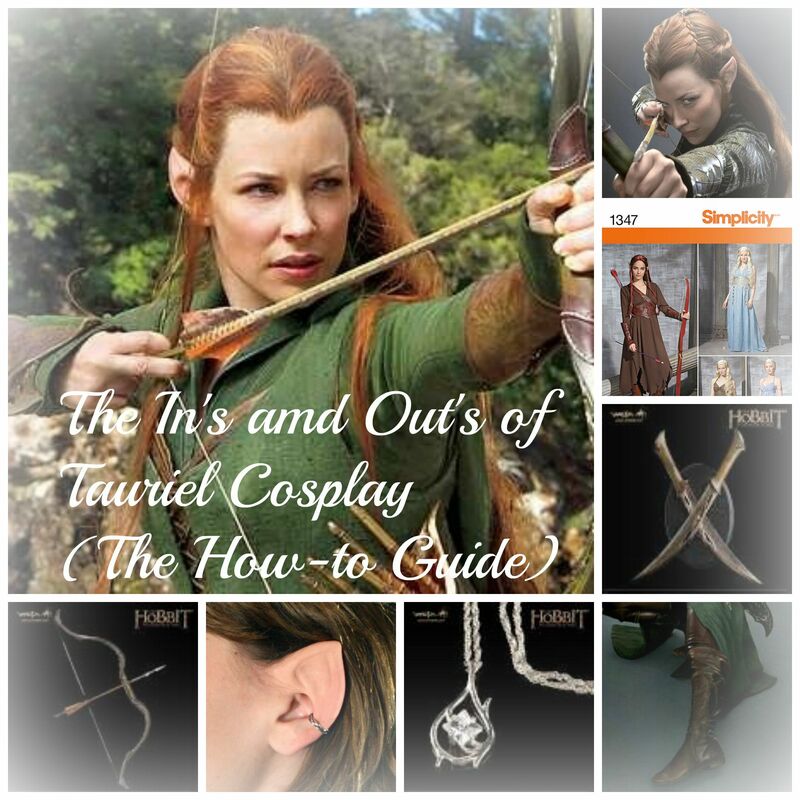 Something else you probably want to know, is the “how?” Well, I don’t know if there’s anyone following me who sews, loves the Hobbit, and admires Tauriel’s no fear of orcs mentality. But, if there is, this is for you. 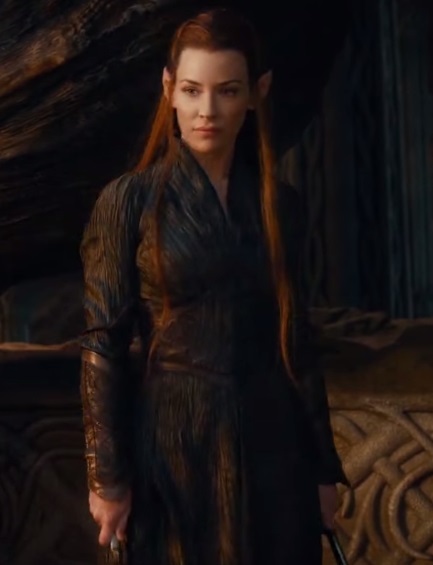 Same as the Laketown Dress only with a leather bodice and she threw on a scarf. 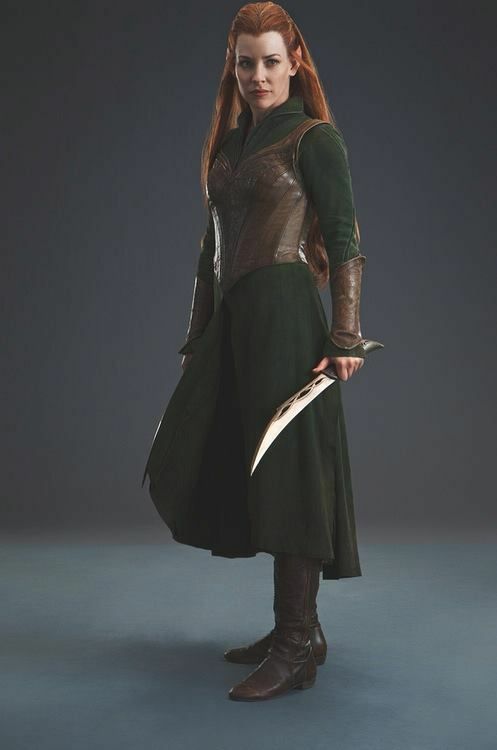 This is the dress she wears when she gives Legolas a scolding. 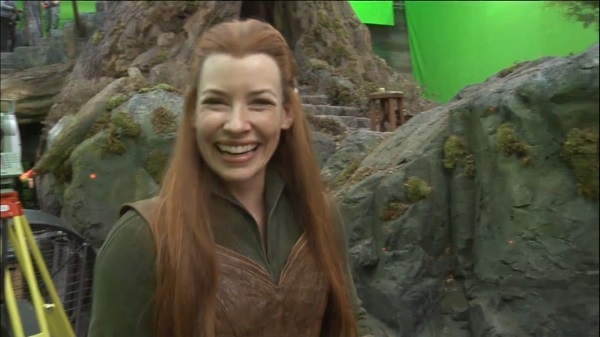 You should know that I don’t like Tauriel for the disrespect she gives Legolas. He’s awesome. I wrote a whole post about it (click here for that). #1 – Fabric: Satin looks really nice and that’s what I used for my dress. I wouldn’t recommend it for beginners because it is EXTREMELY fray-ish. It will be frustrating. 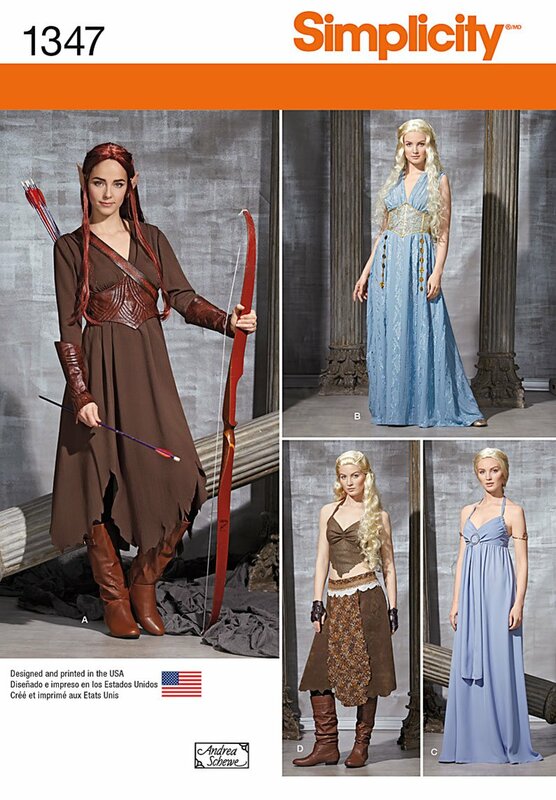 I actually heard that the real Spider dress is made of Crinkle Taffeta and the Archer Dress is made of Suede. 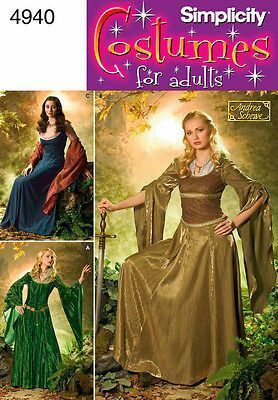 I don’t know where you can buy Crinkle Taffeta, though. How much fabric to get: about 4 yards. I used the Simplicity Pattern 1347 and I think I got about 3 1/2 – 4 yds. 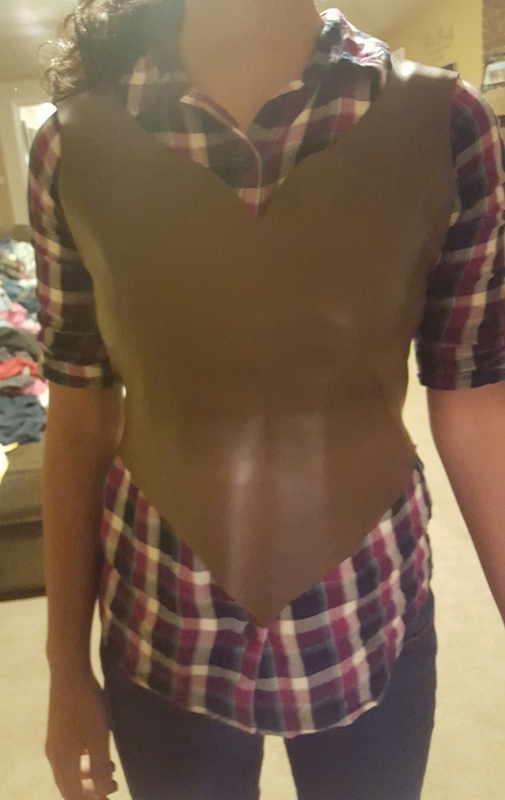 For the leather bodice, I didn’t use leather. I know it looks like it, but it’s not. It’s called Polyester Leather Look (I bought it at Hancock fabrics for like $19.99 a yard – the reason it’s so pricey is because it looks like real leather but it’s not). 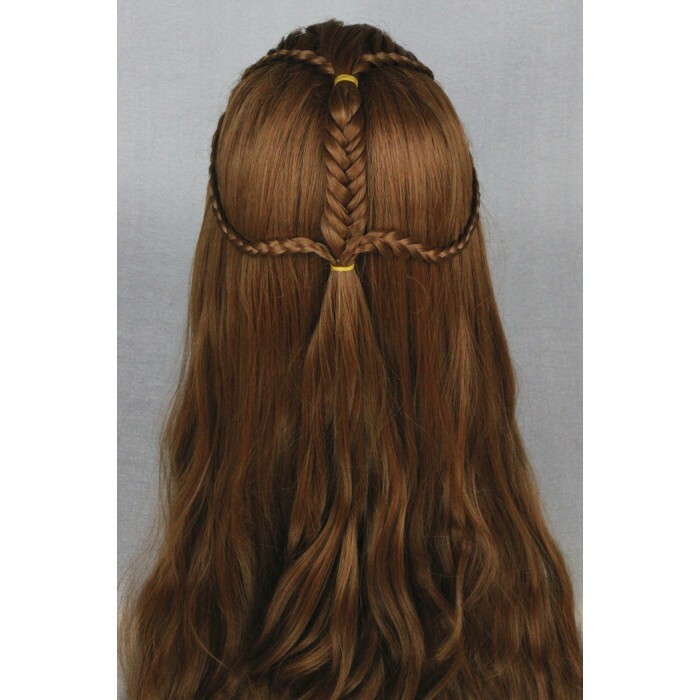 And this is 4940…view B is the Eowyn shield maiden…i think that will be my next project! Eek!! 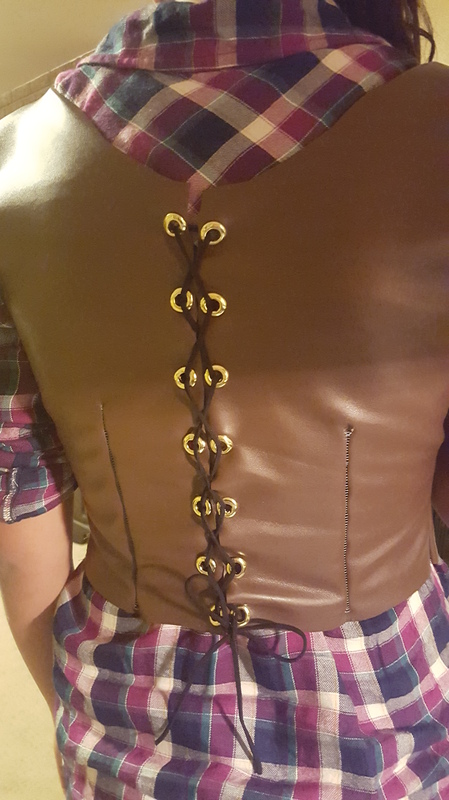 My bodice uses grommets and twine instead of a wonky zipper. 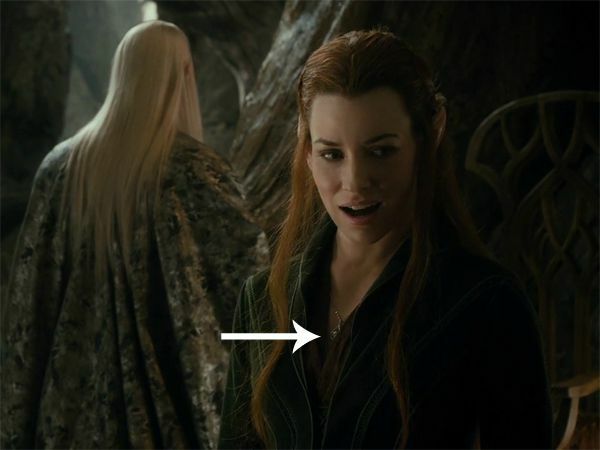 I don’t think Elves use zippers, so I thought grommets would look more elvish. I honestly can’t tell the difference. These are just one word: epic. 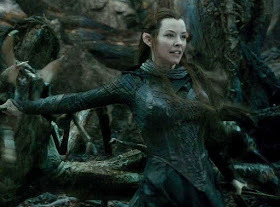 I wouldn’t worry about Tauriel’s weapons, but I would suggest asking for the daggers for Christmas. 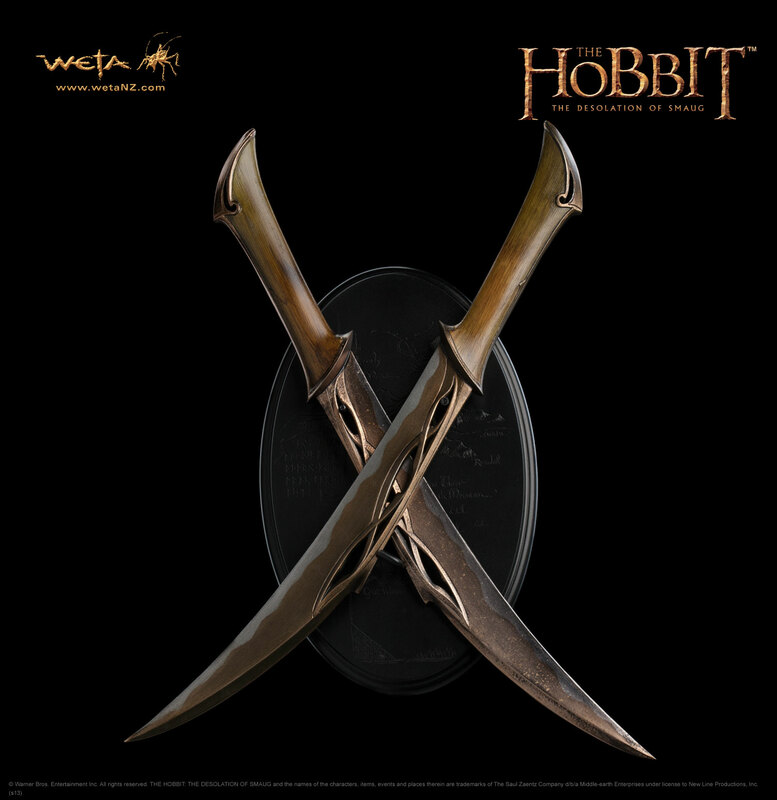 Which is what I’m doing…debating between Tauriel’s daggers or Legolas’ daggers – either one is epicly epic (is that even a word?). I’m using my own bow for my photo shoot (when I took archery lessons, I got one for practice last year). 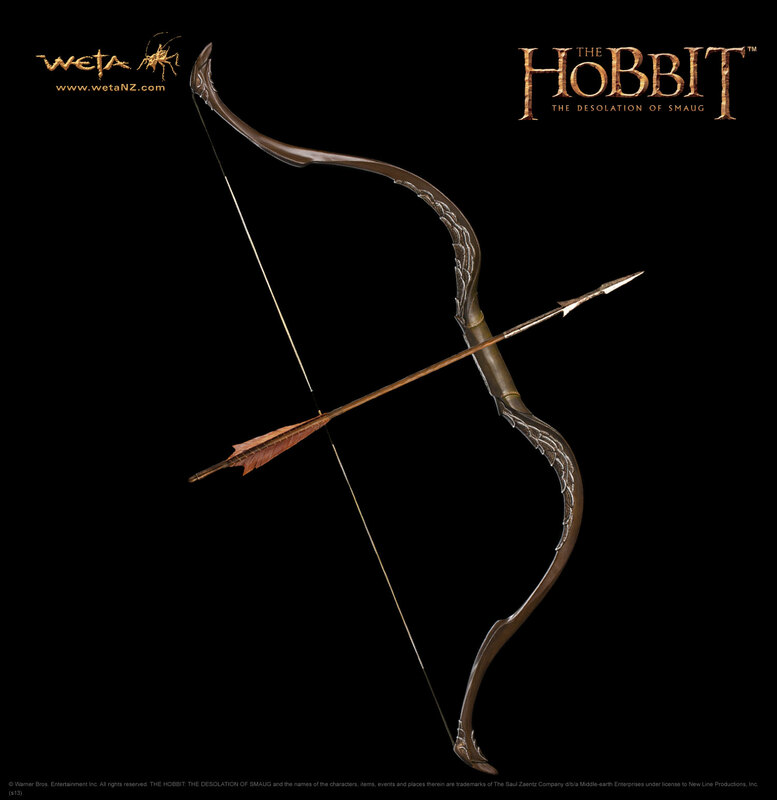 It’s not accurate, but I think it’s better than paying $300.00 for the official one on WETA. 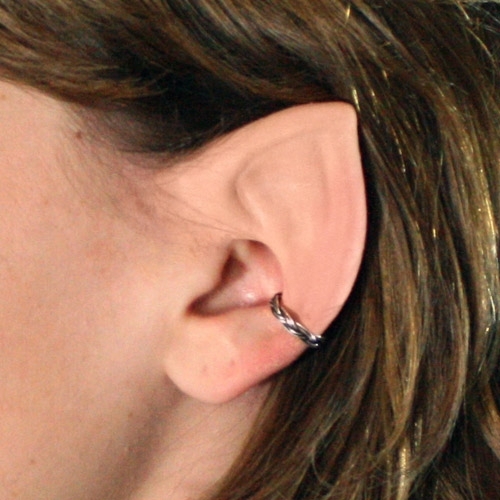 The daggers are $179.99, so I think I MIGHT a better chance with those for Christmas. So, that’s about it! I hope this helps and wish me luck with my cosplay photo shoot and finale!